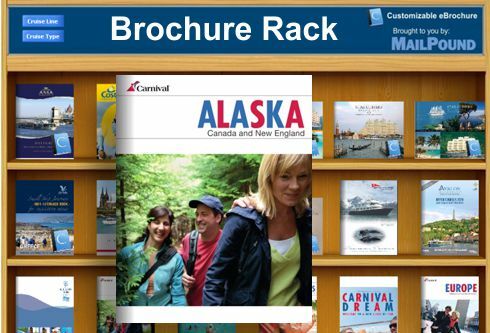 Welcome to our "Brochure Rack"! We have gathered virtually all of eBrochures for the major cruise lines, river boat cruising, small ship cruising and sailing cruises. What ever kind of cruise you are looking for, you can find the information you need on my website. Check it out! I am here to answer any questions and to help you book your vacation. Plus, we have tons of eBrochures for hotels, tour operators, and vacation packages. If you don't find what you want in the hundreds of eBrochures that I have, please contact me. The eBrochure displays with a "frame"
Step Three Call or email me and I will help you select the best cabin and get you the lowest price!